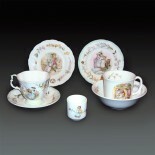 We offer a wonderful bone china set for kids from Royal Albert's "World of Beatrix Potter" collection. 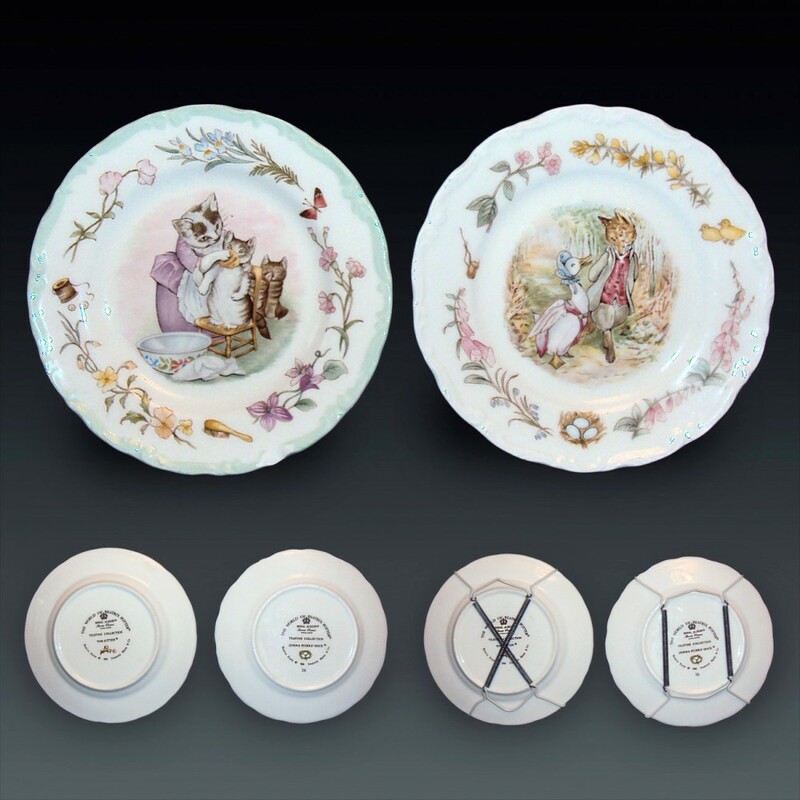 There are 7 items from 1986 with paintings of the famous English writer and artist Beatrix Potter. 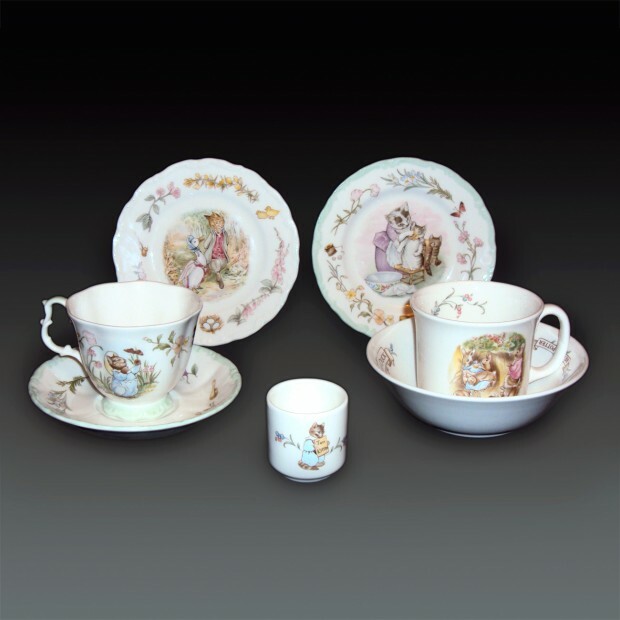 You can see the characters in her tales Jemima Puddle Duck, Tom Kitten and Flopsy Bunnies. 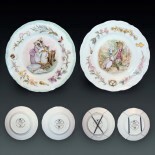 Two decorative plates have the original hooks to attach them to the wall. Please note that there is a small defect on the plate "Tom Kitten." 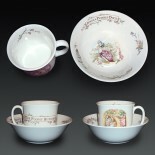 Please see the photos attaches carefully. 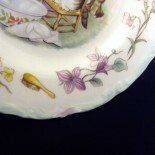 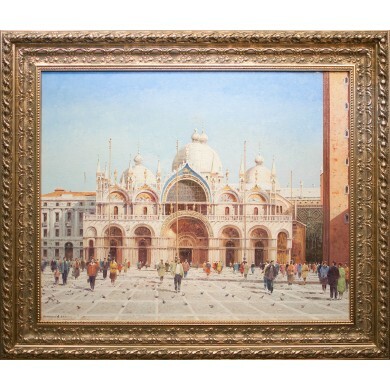 All other items are in perfect unused condition and it is getting hard to find it nowadays. 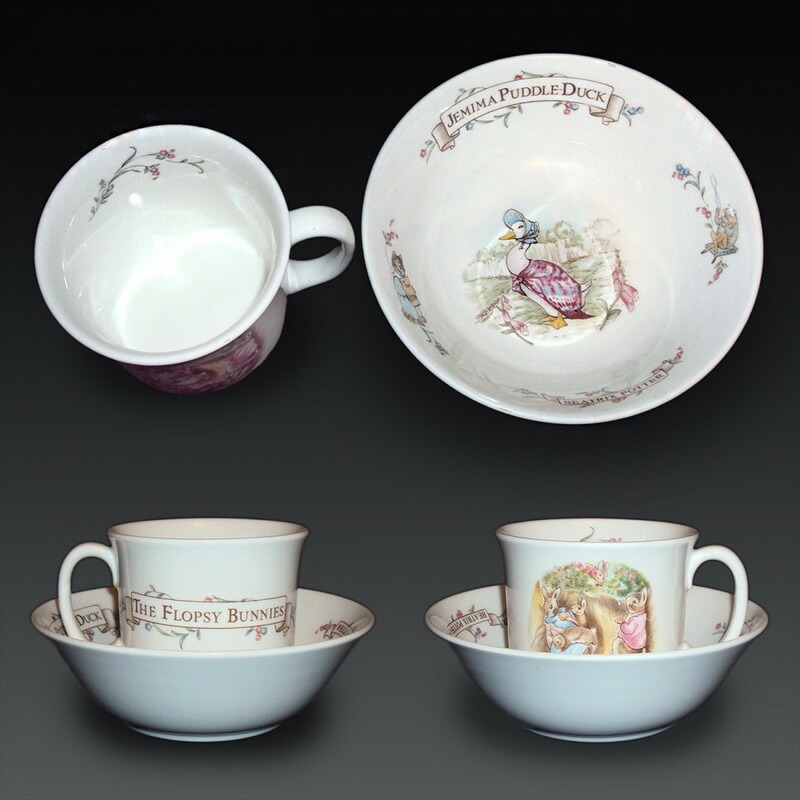 Beautifully detailed all the way around the plates, cups and saucers with clear, bright colours. All items of the set are first quality and fully stamped underneath. 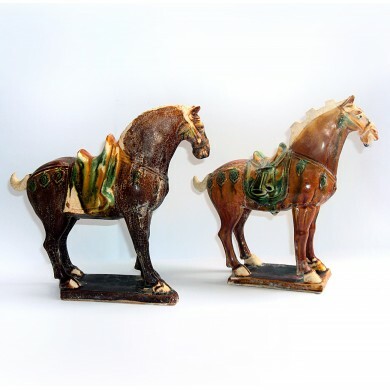 Made in 1986 they would make a terrific addition to your collection. 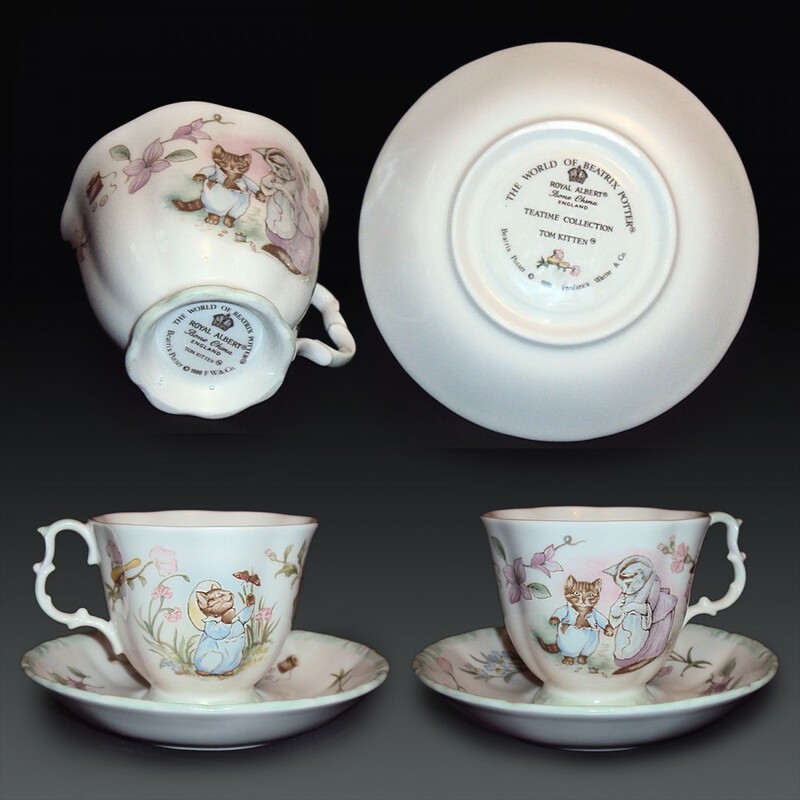 Name: Bone China Set for Kids From Royal Albert's "World of Beatrix Potter" collection.